The Buffalo Valley Recreation Authority’s Children’s Play Garden is a 160 x 60 foot enclosed space located in the Lewisburg Area Recreation Park. 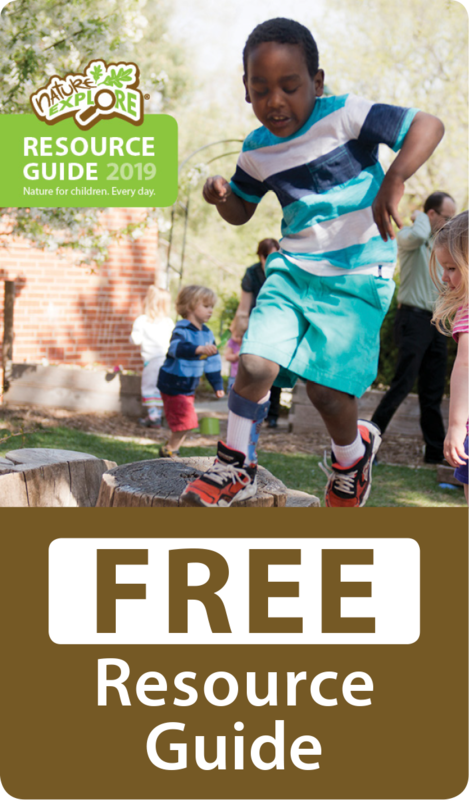 It was created to serve as an outdoor classroom for Nature’s Cool, a nature-based preschool program, and has since been enjoyed by preschoolers, summer campers and community children of all ages. 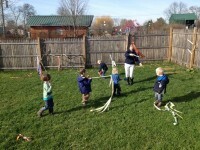 The Children’s Play Garden began as a collaborative effort between BVRA and Bucknell University’s Management 101 class in the spring of 2014. Maggie Testa, Nature’s Cool creator and teacher, based the initial design of the Children’s Play Garden on the Nature Explore Program Principles of Design found in Dimensions Foundation’s Learning With Nature Idea Book. A 60 x 160 fence was installed to create a 9500 square foot enclosed space on the grounds of the Lewisburg Area Recreation Park. 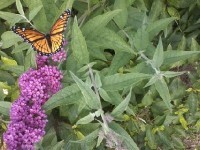 When you first enter the Children’s Play Garden, you are greeted by the Butterfly Garden which includes many native plants and herbs. Bird feeders, a bird bath, garden bench and bird mural complete this space. 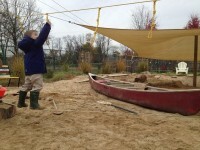 A repurposed volleyball court is the primary feature of the Children’s Play Garden, creating substantial opportunities for social and constructive play. To naturalize the space, a border of grasses was added around the sand and opposite corners were anchored with tall grasses. A slack line traverses the sand pit, connecting it to an obstacle course made of stepping logs and stones. 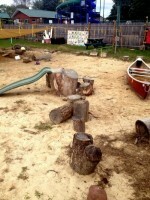 There is a Building Zone supplied with lots of natural blocks, sticks, bricks and bark. 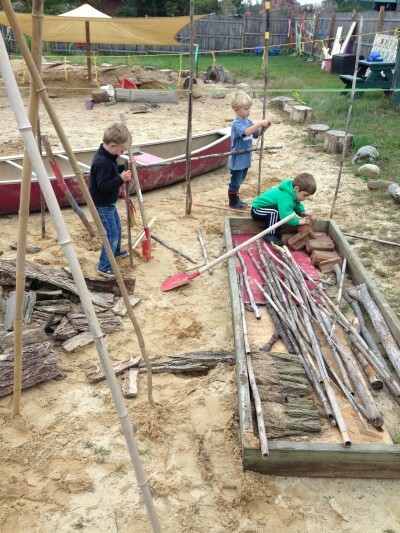 A fully stocked mud kitchen was built this summer and the children love picking fresh herbs to add to their ooey, gooey creations. 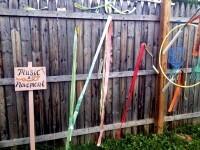 Ribbon sticks and musical instruments in the Music and Movement Area encourage both active and dramatic play. 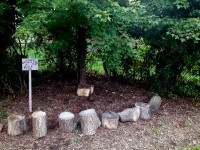 Our Gathering Tree is used for story time and provides a cozy nook for quiet contemplation. Two collaborative murals were painted and donated by middle-school campers to decorate the fence. This space is used by children of all ages. The Children’s Play Garden is naturally beautiful and whimsical, providing the type of play that is most important to young children.